Today, Twentieth Century Fox hosted a worldwide live Q&A with ALITA: BATTLE ANGEL's producer James Cameron, director Robert Rodriguez, producer Jon Landau, the star Rosa Salazar and fans across the movie's official social and YouTube channels. During this live Q&A at Lightstorm Entertainment, the studio that brought you TITANIC and AVATAR, the film's new trailer and additional images for ALITA: BATTLE ANGEL were released! The movie also stars Christoph Waltz, Jennifer Connelly, Mahershala Ali, Ed Skrein, Jackie Earle Haley and Keean Johnson. This trailer debut and live chat were shared across Facebook, Twitter, Instagram, and YouTube in 30+ markets worldwide, localised in multiple languages in real time: English, French, German, Italian, Japanese, Korean, Portuguese, Russian, and Spanish. 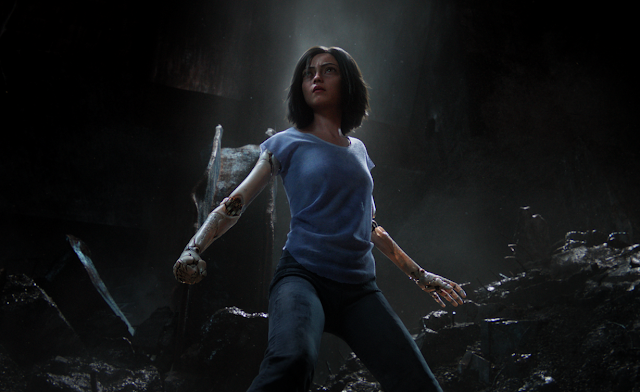 ALITA: BATTLE ANGEL will arrive in UK cinemas DECEMBER, in 3D and IMAX 3D.